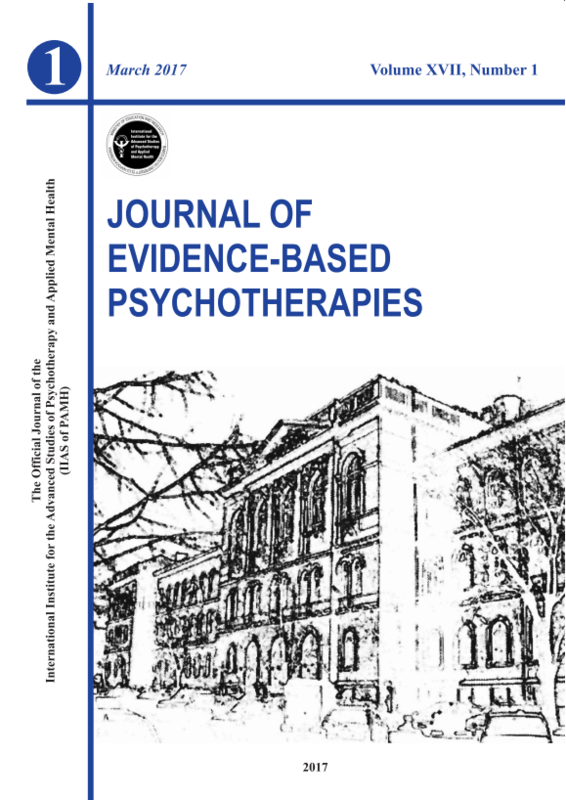 This is a special issue of the Journal of Cognitive and Behavioral Psychotherapies, dedicated to the memory of Dr. Albert Ellis, who has recently passed away. Therefore, as a tribute to him, we have reduced the number of articles in this issue (e.g., postponed those already accepted and /or in press) to include (1) a special article dedicated to his memory: Quo Vadis CBT? Trans-cultural perspectives on the past, present, and future of cognitive-behavioral therapies: Interviews with the current leadership in cognitive-behavioral therapies, interviews, which were taken right before his death and (2) only research article mainly related to [his] rational-emotive behavior therapy. Dr. Albert Ellis, a member of our Journal’s board passed away at home in New York City in his apartment on the top floor of the Albert Ellis Institute shortly after midnight on the morning of July 24, 2007. I believe that by his death, we are witnessing the end of an era in psychotherapy dominated by “genius and giant personalities” (e.g., Ellis, Erickson, Freud, Jung, Perls, Rogers), the new leaders of the current period being centered – according to the modern rules of the field – on the “scientist-practitioner” rather than “spiritual leader” model. Albert Ellis is the grandfather of cognitive-behavioral therapy and the father of rational emotive behavior therapy. Beyond this astonishing contribution to the health field (e.g., the ABC model, which is the foundation of cognitive behavioral therapies), some of his more specific innovations in psychotherapy are related to (1) the use of humor and a “confrontational” style in cognitive restructuring, in well-established conditions (e.g., depending on the type of client, type of problems etc. ); (2) the role of demandigness and awfulizing cognitive processes in psychopathology and the role of the cognitive process of acceptance in health promotion; and (3) the role of metacognition (i.e., secondary disturbances) and metaemotions (i.e., secondary emotions in his terms) in the psychotherapy process. Rational-emotive & cognitive-behavioral therapy (REBT/CBT) is today widely acclaimed as a pioneering approach to psychotherapy and the foundation of modern cognitive behavior therapies. In 2003, the American Psychological Association named Dr. Ellis one of the most influential psychotherapists of the 20th century. Our recent tribute to him is the “RETMAN CONCEPT”. RETMAN was a cartoon character, invented at the Albert Ellis Institute during the ’80s in order to better promote REBT/CBT among children and adolescents; he was modeled to represent Albert Ellis himself, the original Rational Emotive Therapist. Recently, we have updated the character, and now, deeply sorrowed by the death of Dr. Albert Ellis (the real “RETMAN”), we dedicate this new character to his memory. For a long time from now on, you will be able to meet RETMAN at www.psychotherapy.ro.